Anton De Pasquale has won the JNH C & P Series at this year’s Junior Top Guns. 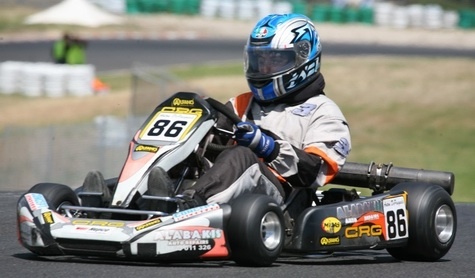 The event was run over two consecutive Fridays under lights at the Oakleigh Kart Raceway. Anton was in absolutely scintilating form in his CRG Junior Rebel chassis. Having almost come to grief at the start of the final, he skillfully managed to hold out the opposition to win by a convincing margin.